The Chinese Lady shares 15 of her favorite and tastiest sauces that she’s created throughout her career as a chef and teacher. Explore a great variety of sauces from sweet, to nutty, to savory, that are perfect for dipping and marinading. Make life tastier with these easy recipes that will enhance any meal. It’s this extra touch which turns your ordinary dish into an extraordinary delight! Available now iBooks and Kindle for $9.99. The world's first publication to exclusively feature recipes, photos and videos about making wontons. Lorraine shares her Chinese-Hawaiian experiences which includes over 30 modern and diverse recipes, along with intimate stories of her upbringing in Hawaii and California. Available now on iBooks and Kindle for $14.99. A beautifully designed and modern e-cookbook featuring 15 short, simple and delicious video recipes! 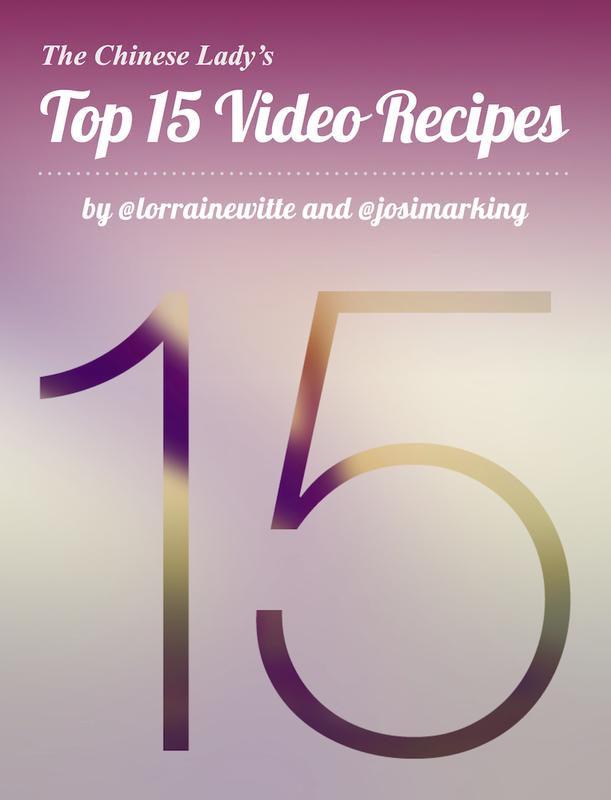 Lorraine, Josimar and their viewers each pick their five favorite videos from The Chinese Lady’s YouTube Channel for a total of Lorraine’s 15 best video recipes! Available now on iBooks for free!